Galaxy Note is surely one of most anticipated device from Samsung with higher public interest though it has a pretty high price tag. 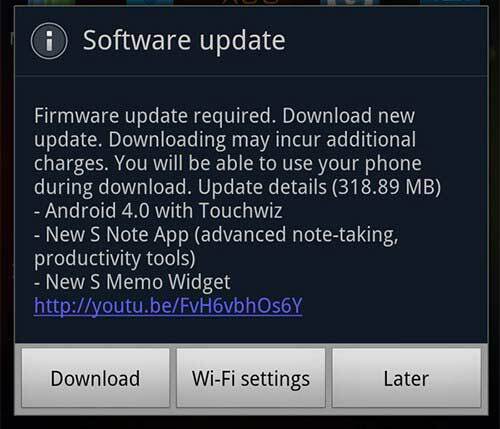 After a long time Samsung finally release the Ice Cream Sandwich firmware for all the Notes around the world. We are not sure about the complete change log yet because there is no official announcement yet. But this 319MB OTA update will replace your current S Note app with advanced note-taking and productivity tools with new S Memo widget. There is no specific date of release of the firmware. Some regions and SIM-free devices will be first. If you don't get a notification for the update over the air, you can also check with your Kies computer software.